Most children learn how to stay dry during the day before they’re able to stay dry at night. Millions of kids wet the bed long after they feel that they should be dry. Sadly, most of these children feel that they still wet the bed because there is something wrong with who they are. Many of them feel that it’s the result of either bad thoughts or bad actions. They feel that somehow bed-wetting is a punishment. In one survey of parents, 22 percent stated that they thought the reason their child wet the bed was laziness. This could not be further from the truth! Primary nocturnal enuresis is a common developmental phenomenon related to physical and physiologic factors. It does not come from emotional stress, poor self-esteem, or emotional immaturity. Children who can control their bladders during the day, but who have never been dry at night for at least a six-month period, have what is known as primary nocturnal enuresis (PNE), the most common form of bedwetting. Secondary nocturnal enuretics are completely dry at night for a period of at least six months and then begin wetting again. In secondary enuresis, the key is finding out exactly what has changed. There might be a new psychological stress such as a divorce, a move, or a death in the family. It might be something physical: the onset of a urinary tract infection or diabetes, for example. It might be a situational change, such as altered eating, drinking, or sleeping habits. Clearly, something has changed. The first step in solving the problem is identifying any changes in your child’s life. What do kids who wet the bed have in common? They may be consuming a diuretic medication, a substance that directly increases urine output. They may also consume diuretic beverages or foods like caffeinated cola drinks or chocolate. They may make more urine in response to a chronic disease, such as diabetes. They may make more urine than average because of their hormonal regulatory systems. Babies make about the same amount of urine around-the-clock. Most adults make less urine while they sleep. The reason for this is thought to be a nighttime surge of a hormone called Antidiuretic Hormone (ADH). Some bed-wetters may make less ADH or have kidneys that are less responsive to ADH. If an individual regularly needs to urinate at night, one or more of the three reasons listed above is the cause. The second thing children who wet the bed have in common is that they don’t wake up when they need to urinate. When infants need to urinate, there is no signal that goes from the bladder to the brain to wake them up. This is wonderful, since they are not yet able to walk to the bathroom and use the toilet. On the other hand, when an adult’s bladder is full at night, there is a signal that goes from the bladder, through the nervous system, up to the brain. This initiates a dream about water, or more specifically, about going to the bathroom. The dream alerts our reticular activating system, which either awakens us or causes us to tighten our sphincter muscles to hold the urine. This signaling mechanism comes into play sometime in childhood. Children who wet the bed are dramatically more difficult to wake up than their peers, which confirms what parents have known for years! Research has shown that primary nocturnal enuresis is often inherited. If both parents were bedwetters, 77 percent of their children will be. If only one parent wet the bed, 44 percent of their offspring will. If neither parent wet the bed, only about 15 percent of their children will wet the bed. With primary nocturnal enuresis, one almost always finds another relative who was a bed-wetter. This corresponds to what is called an autosomal dominant inheritance pattern. Bed-wetting is more common in boys. In primary nocturnal enuresis, children have never achieved complete nighttime control. They have always wet the bed at least two times a month. As a result, these children may suffer significant psychological stress and develop feelings of low self-esteem (including feelings of shame, inferiority, and fear of being discovered by others). These are the result, not the cause, of PNE. Families of bedwetters can experience disturbed sleep, turmoil, and a drain on energy and resources. How long does enuresis last? At age 5, about 15 percent of children have PNE. Among those who still have PNE after age 6, only about 15 percent of them will achieve dryness over the course of the next year (without treatment). At age 15, one to two percent of adolescents still have PNE. If left untreated, some will wet the bed for life. When bedwetting continues to age 5 or 6 (or at any age if it is troublesome to the child) it is time to discuss it with the child’s doctor or with a doctor skilled in treating bed-wetting. A careful history, physical exam, and urine test can usually determine the type of bed-wetting and the best treatment approaches. Sometimes it is important to measure the child’s bladder size. This is often done at home with a measuring cup. It is also important to identify any constipation or encopresis (uncontrolled passing of stools). If one of these conditions is present, it should be treated first. The bed-wetting will often disappear when these conditions are treated. A variety of effective solutions are available, alone or in combination. Different solutions work better for different children. Behavioral therapies include motivational programs, guided imagery, and hypnosis. Conditioning therapies involve one of several bedwetting alarms. Specific exercises can be done to strengthen the nighttime resting tone of the sphincter muscles. Your doctor may recommend a medication such as the DDAVP tablet. The DDAVP tablet can help achieve dryness in some children with PNE. However, it also has the potential for serious side effects and should be used with caution and only under close supervision by a physician. The FDA has recently placed a ban on treating PNE with DDAVP in the nasal spray form. Behavioral treatments are most effective and with the right approach for the right child, most school-age children can be dry within 12 weeks. Treatment can improve a child’s self-concept, even if total dryness is not achieved. How can enuresis be prevented? Not much can be done to prevent bed-wetting, but adequate sleep may help. 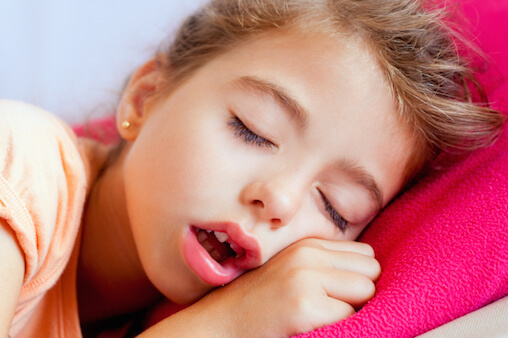 Some children will stop wetting the bed with as little as 30 extra minutes of sleep per night. Bed-wetting, Primary nocturnal enuresis, PNE.